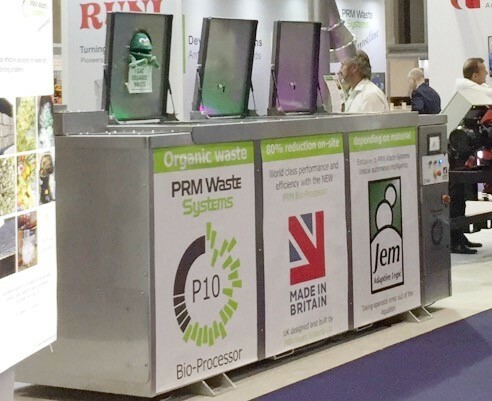 PRM Waste Systems supply a range of bio-processors that help businesses reduce costs associated with food waste disposal. The P series bio-processors are very simple to use. 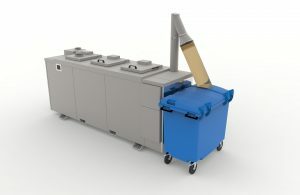 Within 24 hours, food waste will be turned into a stabil ised, low-odour product that has reduced by up to 80% of the original volume. This residue can be used as fuel to supplement a suitable biomass unit or put to other uses such as soil enrichment. It can also be sent to AD. If you are creating ‘free fuel’, this is fed directly into your biomass boiler to create hot water and heating, reducing the cost of disposal to near zero. The process is controlled by our exclusive Jem Adaptive Logic ™ which intelligently maintains a unique blend of microbes specially optimised to break down your organic materials. This allows for very effective, robust and efficient operation. Proudly designed and built in the U.K, delivering outstanding performance and efficiency.